Our practice offers pediatric and family dentistry to our Port Jefferson Station community. The majority of children in our dental practice are seen by Dr. Axelrod, or otherwise known by her young patients as “Dr. Diane”. She has developed a strong following of families that recognize the importance of having one dentist to meet their entire family’s dental health needs. 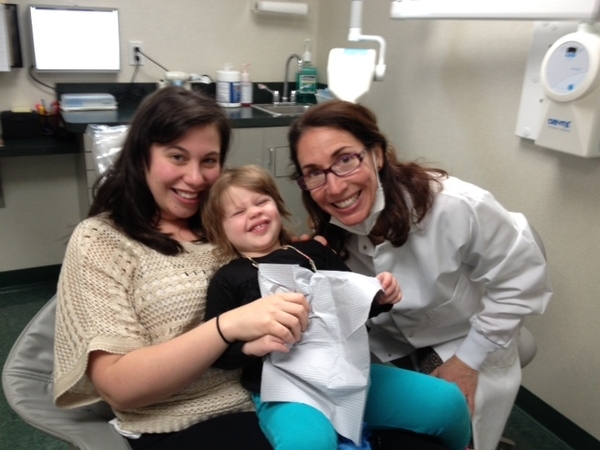 A mother herself, Port Jefferson family dentist, Dr. Axelrod is extremely patient and understanding with young children, apprehensive children, and children with special needs. Her philosophy is to schedule enough time at each and every visit to get to know her patients as individuals. She thinks that it is important to be honest with her patients, listen to their concerns and interests, and respect children as they mature. Creating this positive relationship fosters a relaxed atmosphere at our dental office, which both young patients and their parents always seem to appreciate. Dr. Axelrod’s goal for her young patients is for them to have positive experiences. She strives for them to grow up being comfortable in a dental office and learn about their own oral health, setting the stage for them to have excellent dental health throughout their life. It is of utmost importance to achieve health, function, comfort, and esthetics when our Long Island, Port Jefferson Station dental team delivers your family’s dental care. Below is a sampling of the multiple procedures and services that we provide as well as information in helping you know how to maintain a healthy mouth and enhance a beautiful smile.